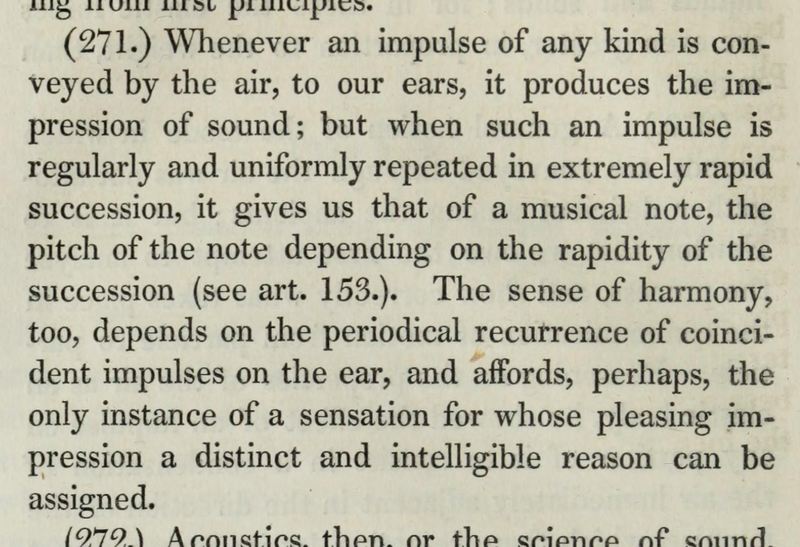 Sir John Herschel is my hero. In 1839, the same year as the invention of the Daguerreotype, he coined the word "photography" and the photographic terms "positive" and "negative", invented the use of sodium thiosulfate (hyposulfite of soda as it known at the time, or hypo as I grew up with it) as a photographic "fixer", and made the first glass photographic negative. During 1833–1838 he made a trek to Southern Africa to complete the panoramic survey of astronomical nebulae, a survey his father William Herschel had done well already for the northern hemisphere. To celebrate his panoramic and photographic contributions, I proposed the name Herschel for the new Street View camera that replaces the one I helped design and build 10 years ago – and the team adopted it. 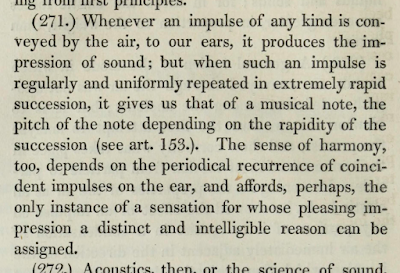 In his 1830 Preliminary Discourse on the Study of Natural Philosophy, Herschel had written on all aspects of science, including the bit on a time-domain explanation of harmony that I quoted in the book. So I'm bummed that I somehow misspelled his name, and that my BibTeX file had the wrong century for the source (see the errata post). The printed book has both 1831 and 1830 in its front pages; either one would have better than the 1930 that I used. These errors are still there in my free 2018 corrected author's draft. Apologies to Herschel. Hopefully we'll get to a second printing and get this fixed. 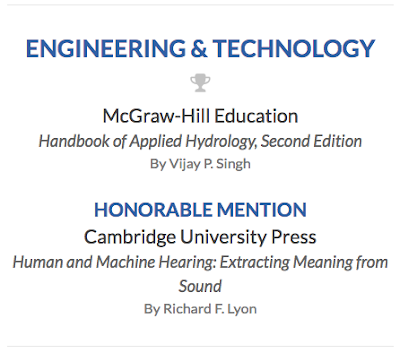 The 2018 PROSE Award, in the Engineering & Technology category, goes to ... not my book. But I got the "honorable mention" in that category. 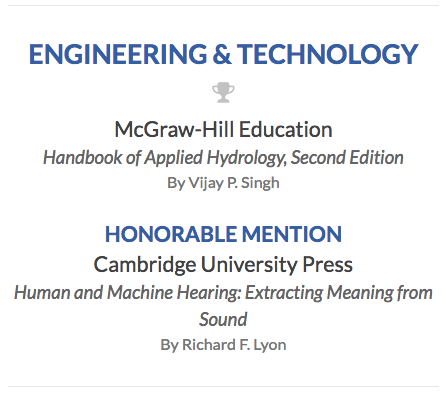 See winners – congrats to Prof. Singh of Texas A&M, the first college I enrolled in.